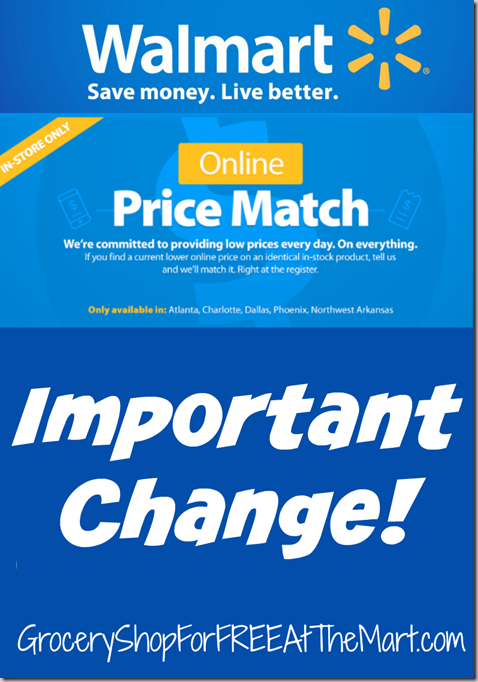 Walmart made a small tweak to their Online Price Matching policy some time in the last few weeks. Here is the line that was added. That’s right, you can only price match an online deal once per day, per item, per customer. I assume that means that if you want to match 2 different items, you could but you can’t PM 2 of the same item. So longer can you buy 30 canisters of Clorox wipes or do any of the other multiple quantity deals I’ve seen over the last few weeks. It appears that this change was either not broadly announced or it was put in to give managers an “out” if someone was buying a large quantity of a price matched deal because most store managers aren’t really enforcing tis rule. I’ve already seen several deals since this change was implemented that makes me think managers are enforcing it on a case by case basis. There is one caveat. You see the double asterisks at the end of the line, here’s where those lead. So I guess if you live in NM, this change doesn’t really apply to you. So what do you think? Will this change the way you shop? let me know in the comments!